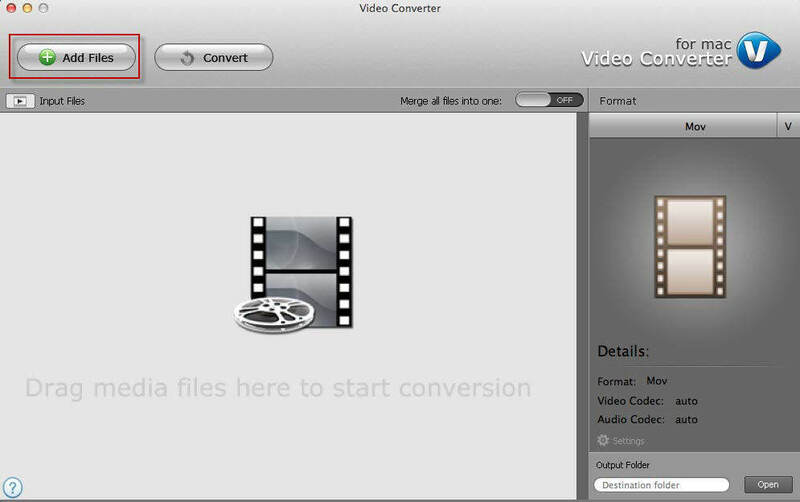 With the help of FLV to MP3 converter (officially name Video Converter for Mac), anyone can convert .flv files to MP3 without even internet connection or any professional skills. This converter is quick and easy in converting .flv videos as well as more than 100 videos formats in to MP3 and other formats. 1. Click on "Add Files" to add FLV videos. Or drag the videos to the converter. 2. Once you've imported the file you want to convert, set output format as MP3 from the format window on the left pane. 3. Click on "Convert" to start conversion. Before conversion, you can edit videos and choose destination folder to save the MP3 files, which can be done optionally. 1. You can't set the audio quality since the conversion will all be automatic. 2. Usually there's a size limit for videos to be converted (some have a 100MB limit, some have a 250MB limit). online-convert.com is a website from which you will be able to upload your ".flv" files and convert them into multiple formats. It also enables you to upload .flv videos (e.g. from Youtube) as well as other video file formats and extract the audio track to MP3. ConvertFiles.com allows users to convert FLV videos of size limit of 250 MB which is larger than a lot of other websites that have a size limit of 100MB. You can upload local FLV videos or paste the URL of your video. Then select MP3 as your output format. flv2mp3.com allows you to enter the URL of the video site and then get the audio in MP3 format. It also gives you the option to download desktop software and convert video into other formats. Now the MP3 files are ready to be transferred to your iPod, MP3 player, Android phone and other devices for listening. Finally I'd like to inform you that for both methods, you need to have the FLV videos downloaded first. If they are still online, a Video Downloader for Mac could assist you in downloading videos from any online websites.